Acclaimed designer Wayne Hemingway MBE has become patron of the Unite Foundation, a registered charity which provides disadvantaged young people with access to higher education and employment opportunities. Red or Dead co-founder Wayne, 53, was born in Morecambe, Lancs. He was raised by his mother and grandparents after his father left the family home when Wayne was aged three. He was only able to attend Queen Elizabeth’s Grammar School in Blackburn because the town council provided a scholarship – an act Wayne says he “will remain forever grateful for”. The Unite Foundation provides free accommodation and a cash allowance to students facing the most challenging circumstances. The scholarship support is provided each year for the duration of the student’s degree course, making it one of the most generous scholarships in the sector. The charity was established in 2012 by Unite Students, the UK’s leading developer and manager of student accommodation. By September 2014 some 90 students will be benefitting from a Unite Foundation scholarship. 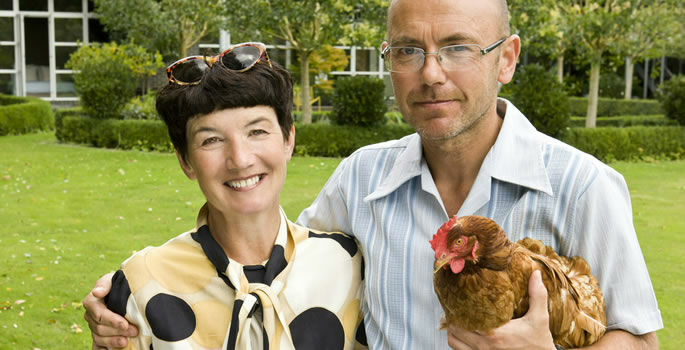 Wayne now runs HemingwayDesign with wife Gerardine Hemingway MBE and will help to raise the charity’s public profile. Wayne said: “Without the help I got from Blackburn Council I would not have been able to get into grammar school. It was while at University College London in 1981 that Wayne launched Red or Dead with then girlfriend Gerardine on a Camden market stall. Unite Foundation chair Paul Harris said: “The Foundation has made a fantastic impact in the last few years and having Wayne Hemingway coming on board is partly recognition of that.